Mark D. Branstetter, 84, of Lancaster, PA, died on November 5, 2017 at Lancaster General Hospital, following a brief battle with cancer. He was the loving husband of 56 years of Fredonna “Donnie” (Holcomb) Branstetter. He was born on September 25, 1933 in Worthington, OH, the third child of the late Lyman and Ellen (Williams) Branstetter. He attended schools in Ohio and Frankfurt, Germany, before graduating from high school in Las Vegas, Nevada in 1951. He was among the first class of students to attend the University of Nevada, Las Vegas and also attended Hamline College in St. Paul, Minnesota before enlisting in the United States Army in October of 1953. Following Basic Training in Ft. Knox, he attended the Army’s Language School in Monterey, California, where he learned Mandarin-Chinese. Mark spent the remainder of his enlistment during the post-Korean War period as a language instructor with the US Army Security Agency in Tokyo, Japan, receiving an honorable discharge in 1956 with the rank of Specialist-Six. Following his enlistment, he attended college at both George Washington University and American University in Washington, DC, earning a Bachelor of Arts Degree in Radio and Television Communications in 1963. Mark began work for Sperry New Holland (later Ford New Holland) in 1963 and held numerous public relations and marketing positions before retiring in 1991 as the firm’s Product Publicity Manager. He continued to work for New Holland on a part-time basis following his retirement. He was an avid golfer, a passion he shared with his entire family, and long-time member of the Conestoga Country Club. In recent years, he had often served as a course marshal at Overlook Public Golf Course. He enjoyed watching sports, particularly Penn State and Washington Redskins football. He also performed with several vocal ensembles. For many years, Mark was a member of the Barbershop Harmony Society’s Lancaster Red Rose Chorus and later the Chorus of the Brandywine, and sang bass for the quartet, Good News. He also sang for several years with the Wheatland Chorale, one of the premiere choral ensembles in Pennsylvania. 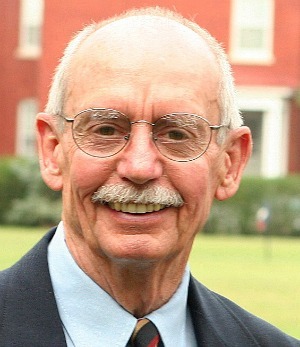 In addition to his wife, Mark is survived by his children, David Branstetter and his wife, Tena of Waldorf, MD, and Matthew Branstetter and his wife Dyan, of Lancaster; two sisters, Ann Benson of Middlebury, VT and Jane Phillips of Lancaster; four grandchildren – Zachary Branstetter and his wife, Stephanie, of Athens, TN, Kaitlyn Branstetter, of Gladstone, MO, and Evan and Lea Branstetter of Lancaster; one great-granddaughter, Briar Rain Branstetter, of Athens, TN; as well as numerous nieces, nephews, and cousins. As well as his parents, Mark was preceded in death by his brother, J. Williams (Bill) Branstetter. Relatives and friends are invited to attend a Memorial Service at DeBord Snyder Funeral Home & Crematory, 141 E. Orange St., Lancaster, PA 17602 on Saturday, December 9th, 2017 at 1:00 PM. Friends may greet the family from 12:00 noon until the time of the service. At the family’s request, there will be no public viewing. A memorial service and interment will be at the convenience of the family. Those wishing to make memorial contributions may do so to the Lancaster Red Rose Chorus, attn: Treasurer, 2121 Landis Valley Rd, Lancaster, PA 17601-5409. Donnie, So sorry to hear of your loss. My thoughts are with you at this most difficult time. Donnie—-so sorry to hear about Mark. Ann and I send along our most sincere condolences. We didn’t feel we knew him well, but we want to wish you the best in your upcoming struggles with this. Thank you both for your kind words. Not an easy time but with support of family and friends and my faith, I will be able to face the trying days and months ahead. I am saddened to learn of the loss of your husband and father. It took me back to the memories and the simplicity of the years in the 60’s and 70’s when we were neighbors on Rutledge Ave. May God grant you the strength to help you through this most difficult time. Thanks, Jim. One of my fond memories is of you walking along beside Mark as he mowed the yard. I too miss those days of simpler times. Thinking of you. Wishing you Comfort and Peace.